For 15 years, athlete and musician Barry Zito enjoyed success in Major League Baseball. His enviable curveball led to pitching positions for both the Oakland Athletics and the San Francisco Giants—including appearing in three All-Star Games and becoming a World Series winner. In 2015, he walked away from baseball to pursue his love of music. 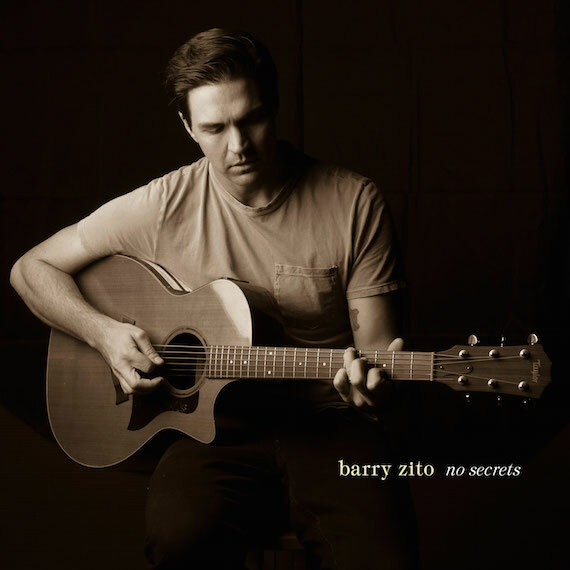 In January, Zito released the six-song EP No Secrets, where he candidly shares his unique story of fame, fortune, temptation, struggle, and ultimately, redemption. Zito grew up with a love of music and a natural ear for cadences and melodies. His father Joe Zito was at one time a conductor and arranger for Nat King Cole, and raised Zito on the sounds of the Great American Songbook, and musicians such as Rodgers and Hammerstein, George and Ira Gershwin, Sammy Cahn, Johnny Mercer and more. As Barry grew older, he immersed himself in music from Kenny Loggins, Michael McDonald and other adult contemporary performers. Zito credits his wife Amber with deepening his interest in country music. Those country lyrics became the soundtrack for his life and the inspiration for his newfound career. He names Keith Urban’s “Stupid Boy” as an early favorite, and Urban’s “Without You” was played during Zito’s wedding. But as a young boy growing up in Las Vegas, it was Zito’s aptitude for sports that caught his father’s attention. Joe began studying the mechanics and techniques of baseball, and left the music world to help his son pursue sports. The elder Zito hired former Cy Young winner and San Diego Padres pitcher Randy Jones to privately tutor his son in the finer points of the game. On the track “Home,” Zito pays homage to his father’s encouragement. Zito would go on to become a Cy Young winner himself in 2002. Four years later, Zito signed a seven-year, $126 million contract with the San Francisco Giants, making him the highest-paid pitcher in major league baseball history at the time. But by 2008, disillusioned by the trappings and pressure that come with a high-powered career, Zito had reached what he calls “one of my lowest lows in baseball.” He channels those experiences of “chasing temporary highs” into the track “The Secret To Life” on his debut EP. In 2014, Zito made a bold choice to step away from baseball. One year later, he made his professional return to the sport, joining the Triple-A team Nashville Sounds. While Zito was still playing with the Sounds, Nashville executive Robert Filhart contacted him about pursuing the craft of songwriting, a move that inspired Zito to pursue songwriting full-time. Constructing and tearing apart lyric after lyric and melody after melody, Zito and his songwriting cohorts began turning his experiences into songs. In a track from the EP, “My Own Path” Zito ruminates on his decision to step away from baseball completely, having pursued it for 14 years. He observes that it’s not unlike a common scenario in Nashville’s music circles. Zito kept the EP acoustic, so he can easily replicate the EP during performances. For now, Zito is open to pursuing an artist career, but his immediate focus is on the songs. Last month, Zito’s love for baseball and music collided, when he penned and provided vocals for “That Sound,” which became the theme song for his former team, The Nashville Sounds.